Welcome to Day 2 of the Verve New Release Spotlights, where today we are featuring the stamp set: Love Notes that I know you will fall in love with - they are filled with such a perfect combination of sentiments that you have always wanted and the sweetest stamp images that coordinates with the dies that Julee will be releasing! Stamps: Love Notes from Verve StampsPaper: We R Memory Keepers (DP) and PTI (Cardstock)Ink: Ladybug Red Memento and Tuxedo Black ink from Memento Dies: Jotted Heart Die and Classy Label Die from Verve StampsAccessories: ruffled ribbon, bling, epoxy hearts, dimensionals, heart punch, white gel pen, EK success punch and red lined tape. Accessories: red ribbon from stash, EK scalloped punch, liquid pearls, dimensionals, copics and bling. Shadowbox frame in black. Sankari <---- you are here! yay! Please stop on back here tomorrow for Day 3 of the New Release Spotlights! Oh my!!! LOVE your ribbons!!! I love the ribbon border! Beautiful! Love all the layers of colors!! So pretty! I love the one with the picture of your children! Just BEAUTIFUL!! So much fabulous eye candy to look at!! Wowsers!! so much great detail packed into that card!! OOHHH and I love that frame!! awesome! I Love your framed project!! great creations! I especially love the photo frame! It's so cute! 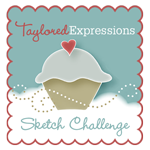 Beautiful creations, love your use of ribbons and you have a wonderful eye for details. Wow, you've made a love explosion - wonderfully creative work. Beautiful. Love the colors n the ribbons too on both the projects. Beautiful card and frame! I love the way the hearts just pop and that card--so pretty! This is totally cool love the picture layout, colors just awesome!!!! Love the framed piece. Great inspiration. WOW your frame is absoloutly stunning. Love the colors with everything. Love the picture and the ribbon! Very nice. I'm looking forward to this Verve release. These projects are so breathtaking Sankari! I LOVE that frame of your children - that cool loopy ribbon and the layout is PERFECT. And your card is stunning too - there is so much going on that I don't know what to admire first. I love the scrunched ribbon around the ends though and all the layering of the hearts. You always give our eyes a super treat! Love the ruffled ribbon frame! Beautiful card and project. I adore that sentiment, "I love you to the moon and back". tfs. Fabulous creations and gorgeous kiddos! Love that card! the ribbon border is amazing! And the project with your children is beautiful, such a treasure! Love the framed scapbook page...perfect!! The sentiment is wonderful--also something said with my kids when they were young!! That card is to die for!! The way you used the stamps & dies & all those gorgeous embellishments - ahhh... And that frame with those two beautiful kiddos - absolutely perfect!! Gorgeous! The ribbon on both projects are wonderful touches! Oh my goodness - both projects are to die for! The ribbon trim on the card - LOVE IT! Beautious!! Love the frame what an awesome idea! Love the ribbon work on both projects - great job! Love your creativity on the card but the picture with your kids steals the show! Great attention to details! I just saw My UMA!!! I gave her a hug! Both look adorable!! U the best ! Wow..both are so beautiful, Each day just gets better. Very inspirational. Your children are adorable!! Oh Sankiri, your kids are adorable!!! Love the big smiles and you have done up the frame fabulously. Each and every project of yours is a work of art! Beautiful!! I just love the frame! So love your work! The card is wonderful, and you rocked the picture! (What beautiful children!) TFS! What a detailed and pretty card! I love your projects today! Your valentine is super sweet and lovey and your framed layout is sheer perfection! Your card is beautiful with so many beautiful details, just makes me want to see it in person. Your picture frame is just too cute with just too cute kids! Beautiful work. RIBBONRY EXTRAORDINAIRE! That is phenomenal. You're rocking all those details, Sankari! Pretty card and fantastic scrapbook page. How sweet to use that saying with your kids photo. Too, too cute!! Beautiful Sankari! Love the frame of your kiddos! So cute! The frame is beautiful and your children are so cute. Just gorgeous, Sankari! I love all your hearts and your ribbon frame and how you combined the sentiments on the first beauty. And that frame is just fabulous! 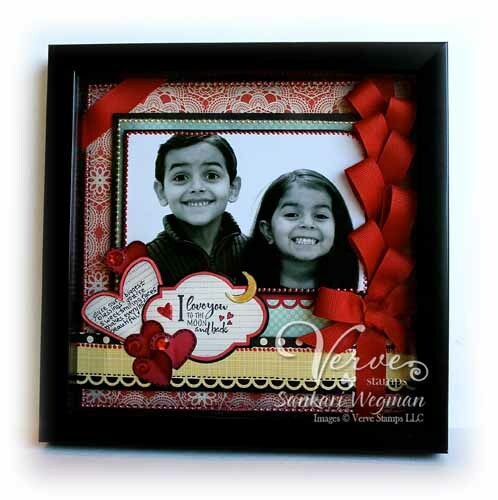 Two of the cutest little munchkins I've every seen and a perfect frame to match! Your card is great but I just adore the framed LO!Fabulous picture and I love all the hearts and the sentiment is perfect! Your card is lovely and cheerful. That frame is the sweetest thing ever, and your children are beautiful! Gorgeous , Sankari!! I love the ribbon and the faux stitching on the little heart. Your kids are adorable!! I love that card! The ribbon around it is just gorgeous. What a beautiful frame as well. Beautiful! Such ruffly goodness and that layout of your kids is so precious. TFS! Fabulous use of the New sets. Love the Bling! Your children are so Adorable..
the ruffle along with the other layers on your card is so fun! And the layered creation that you built around your little sweeties -- Precious! My son and I say the same thing! Your picture will be a memory for a lifetime for them! Lovin' the versatility of this set. Those are great sentiments. Love all the hearts! Wow, beautiful card and layout. Both of these projects are awesome! So much detail -- perfection! Your page and your card are adorable!!!! Love it!! I hope you have a super day!! Beautiful, love all the ribbons. 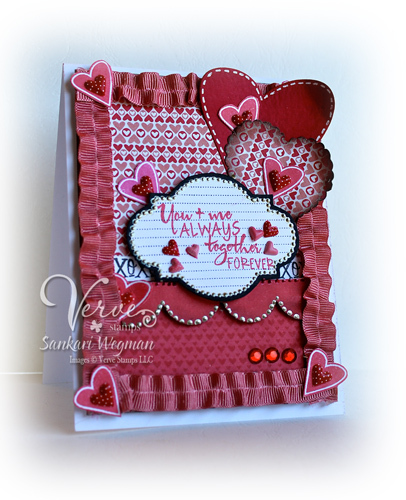 Sankari, your card just oozes love!! Love it!! And your frame is just super gorgeous and charming, as are the two cuties inside!! LOVE the ribbon treatment! Wow Sankari these are amazing!!! LOOOVE the scrapbook page, those ribbons are gorgeous and I really love how you used the labels! these both are amazing...your children are gorgeous...very sweet photo! The card is so rich looking, and I love the LO with the kids' photo! Cute kids, btw. :-) Both of these are really great projects and I know you worked on them with lots of love. Can hardly wait until all the stamps have been revealed. Hurry up Friday! You can feel the love in these jewels! Great job! Gotta say that picture of your "wee ones" is just precious. Wonderful creations! Thanks for sharing. Really, how cute are thos kids? How gorgeous is that ribbon treatment? And how perfect are these stamps for your projects?! LOVE! You card is absolutely stunning, and those two kids are super cute! Can't decide which project is my favorite. They are both fabulous!!! Just lovely, Sankari! What a sweet card (and perfect sentiment) for your DH and darling framed project of your kids! Hugs! Love your projects but especially that fancy ribbon border! What great projects. They are stupendous. 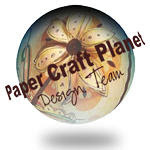 Wonderful projects - love the valentine to your husband especially! Just beautiful, Sankari! Look at their sweet little faces!! Oh my! Love the projects. Great card. Oh my goodness, both of these projects are so sweet! I love all the ribbon on that card. Gorgeous card, I love it!! Awesome projects, Sankari! Your detailing is second-to-none! Love the creative use of ribbon on both projects. Gorgeous way to showcase that super sweet photo of your wee ones! Wow! They are both gorgeous. wonderful projects..those kids are so smiley and cute. You have a way with ribbon! Love the use of ribbon on both projects. And the sentiment on the card is great. Love that ribbon frame great idea. Beautiful. The ribbon is a great border. Fabulous! Can't wait to see more! Awesome card and frame...all the Divas have my draw dropping at each blog.Now if only Friday would hurry up and get here! Love the card and LO so many hearts. What a beautiful card and frame!!! Amazing! I have seen so many ways to use this stamp set now since following the hop and I must say I need to purchase this set!!! So many beautiful elements and layers on both of these projects! Just fabulous! Everything is just gorgeous but that frame is just stunning and such a fantastic idea. I LOVE it! What a wonderful gift for someone for the holiday. WOW! Wow - gorgeous card and project. I love your ribbon treatments. You always do such a wonderful job with liquid pearls too. Your creations are always full of detail and dimension - beautiful. Very pretty card--I like the ruffled ribbon border. The scrapbook frame is adorable! Amazing card! So much detail, and I love the gathered ribbon frame. And your framed project is beautiful, too. 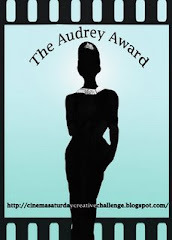 I always love to stop by your blog! You are so very talented & everything you post is always so gorgeous! Your cards are so beautiful.I love the ribbon on this one. Darling projects! love the ribbons!